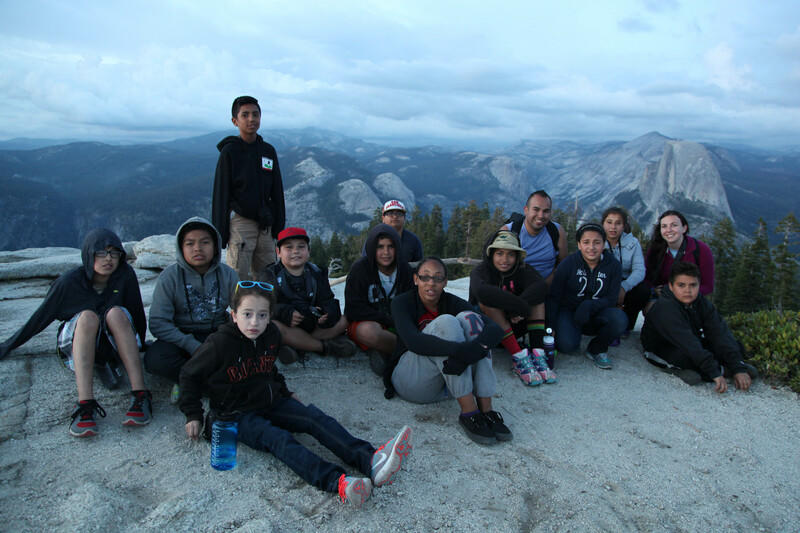 Participants from the Boys & Girls Clubs of the Peninsula pose for a group shot at the top of Sentinel Dome during their recent trip to Yosemite National Park. There is still time to catch our Grand Canyon in Focus photo exhibit in the headquarters building at Grand Canyon National Park. The display features 40 photographs taken by the 2014 Parks in Focus® participants from the Boys & Girls Clubs of Tucson, the Boys & Girls Clubs of the East Valley, Office of Diné Y.O.U.T.H., and Talent Search TRiO of Northern Arizona University. The photos will be on display through August 5. The Ansel Adams Gallery in Yosemite National Park will host its fourth annual Parks in Focus® photo exhibit. The display features 28 photographs taken by youth participants from the Boys & Girls Clubs of the Peninsula and the Sequoia YMCA during their five-day excursions to the park in 2014. The photos are on display through August 2. On Wednesday, we will lead the second of two pre-trip outings with our new youth participants from the Sequoia YMCA. The group will visit Fioli Historic Site in Woodside, California, where they will practice basic photography concepts in preparation for their upcoming trip to Yosemite National Park. Our 2015 activities in California are made possible by generous support from the Yosemite Conservancy. In partnership with University Outreach at the University of Michigan – Flint, Parks in Focus® will host our second outing of the summer with the Boys & Girls Clubs of Greater Flint. Participants will explore Bluebell Beach and Stepping Stone Falls County Parks in Genesee County. On Monday, we kicked off the first of two five-day camping trips to Glacier National Park with 11 youth from the Boys & Girls Clubs of the Flathead Reservation & Lake County. The trip is being led by a team of staff from Parks in Focus® and the Glacier Institute. Groups of youth from Positive Tomorrows, the Boys & Girls Clubs of Oklahoma County and the Cole Communication Impact Organization will explore and photograph Martin Park. Participants will practice landscape photography while learning about wildlife habitats in and around Oklahoma City. Our 2015 activities in Oklahoma City are made possible by generous grants from the Kirkpatrick, Anschutz, Merrick and Cresap Family Foundations, as well as the OPUBCO Communications Group. Stay tuned for more photos, media releases and other updates from all of our summer 2015 programs.